HORAL, an acronym for Hoge Raad voor Ambachtelijke Lambikbieren (High Council for Traditional Lambic Beers) is a consortium of lambic brewers and blenders that work together to promote lambic beers, brewing, and culture in Belgium. 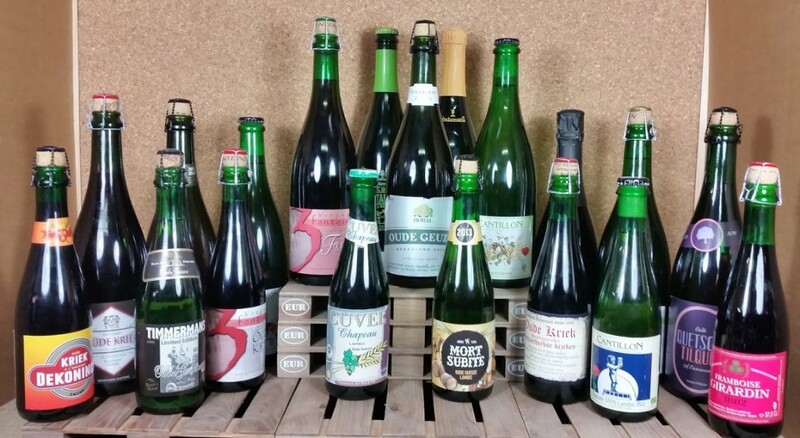 HORAL has worked to obtain and maintain current European Protections on traditional lambic beers since the Traditionally Specialty Guaranteed label was assigned to them in 1997. This pack contains beer of all HORAL-members, as well as other ‘Oude Geuze’ producers that are not in HORAL. Next in line of Belgiuminabox brewery collections is Gueuzerie Tilquin. Belgiuminabox is proud to welcome the return of 3 Fonteinen Oude Geuze Golden Blend. In contradiction to regular geuze, Golden Blend contains not only 1,2 and 3 year old lambic, there’s also (a minimum of 25%) 4 year old lambic used in this ‘Golden Blend’. It’s already been 3 years since this gem was released and is desired ever since. So with the re-appearance of the Golden Blend, 3 Fonteinen once again succeeds in exciting the lambic-community. 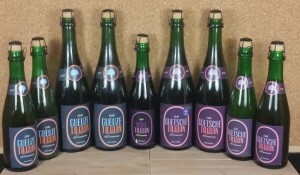 We are now pleased to be able to sell this special edition again, to our ever-growing group of lambic-fans. 3 Fonteinen Oude Geuze Golden Blend 2014 is now available @belgiuminabox.com. Cantillon hardly needs introduction. Brewing unsweetened lambic since 1900, they always kept true to their believes. They never gave in to the latest hype, or never messed around with additives. Still brewing the hard way. This passion-fueled brewery in Brussels makes lambics that are so spoken about, it is hard to find anyone who appreciates the style but doesn’t like Jean Van Roy’s attempts to make every single batch of beer a pure jewel. Iris is an exception for the breweries’ style. Strictly spoken not a lambic / gueuze beer, due to not using any wheat. Also, they made this beer with 50 % aged, and 50 % fresh hops, whilst traditional lambic contains 100 % aged hops. The result is this fresh, slightly amber beer, with a refined, complex taste. The spontaneous friends of Jean & co took over as soon as the actual brewing was done, making sure this beer is funky and sour. Barrel aging did the rest and Iris was born. Named after the symbol of Brussels, for those who asked themselves. Ever had a real lambic that was dryhopped, other than this one? 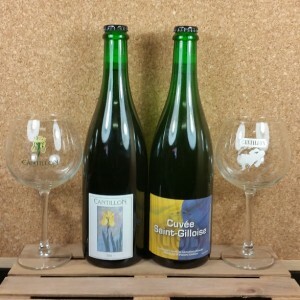 Truly unique in it’s category is this Cuvée Saint Gilloise. Also known as Cuvée Des Champions. This beer was named for the soccerteam Jean cheers for. It’s 2 year old lambic (carbonated, so very alike a gueuze) That was dry-hopped with Hallertau. Get your package @ Belgiuminabox.com.